This paper documents the early life of Horst Feistel, in particular, the events shaping his career. His creativity led to the development of today’s high-grade cryptographic algorithms. We describe Feistel’s successful escape from Nazi Germany, his university training in physics in Zürich and in Boston, and the career change to cryptography. Feistel became a Research Staff Member at the IBM Thomas J. Watson Research Center in Yorktown Heights, New York, in 1968. The cryptographic algorithm LUCIFER encrypts data to secure their contents. It embodies the ideas intrinsic in Feistel’s 1971 IBM patent. Claude Shannon’s 1949 prescription for achieving ideal secrecy was the basis for LUCIFER and its successors DES, 3DES and AES. DES authenticated transactions in the automated teller machine system developed by IBM as part of the Lloyds Bank Cashpoint System in England. Public key cryptography and advances in communication networks would provide a means to secure credit card transactions and lead to a lucrative environment for E-Commerce. The availability of high-grade encryption appears to have drastically limited the National Security Agency’s Signals Intelligence mission. The Department of Justice’s dispute with Apple’s iPhone is an attempt to restrict the commercial availability of high-grade encryption algorithms. It signals the struggle between privacy and national security. Dedicated to my wife Carol Lea, my love, joy and motivation for 60 years and 5 months. 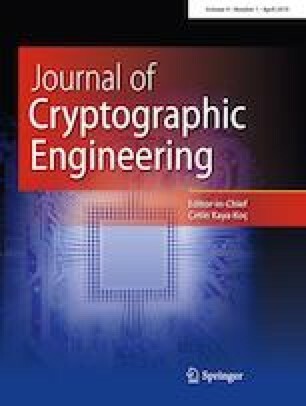 I am particularly grateful for the assistance given by my former UCSB student and later colleague Çetin Kaya Koç, editor-in-chief of the Journal of Cryptographic Engineering, who invited the submission of this paper, Ms. Peggy Gertrude Chester (née Feistel) and Ms. Dawn Stafford (IBM Corporate Archives). Some of the documents Ms. Chester provided were in German. Although my career included a Fulbright (1966–7) at Institut für reine und angewandte Mathematik (Heidelberg Heidelberg) and a sabbatical 1970–1 at IBM's Ruschlikon Laboratory, my languages skills had declined. Two longtime friends and colleagues corrected my faulty translations: Dr. Joachim Hagenauer (Joachim, a friend and fellow cook for 25 years, not only translated many documents but outperformed Google maps and provided a link to Stonischken, the birthplace of Horst’s mother and aunt), Professor Emeritus at Institute of Communication Engineering at the Technical University of Munich, and Dr. Eberhard Hänsler (Eberhard is a friend since IBM days and translated many of Peggy Feistel’s documents), Professor Emeritus at the Institute of Telecommunications at the Technical University of Darmstadt.